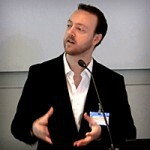 A few years ago a Turkish PhD fellow said to me rather wistfully: ‘I would like to have your job. It seems very nice.’ At the time I was inclined to agree with him, though I knew this was tempting fate. The question is, what did he really know of my job beyond what he’d seen on the website or at a workshop? What does a UN Head of Communications, responsible for the image and output of more than 100 international researchers (most of whom have English as a second language) do all day? The very simple answer is, I ‘polish’ and share our work just like any other public relations officer. The everyday reality, of course, is much more complicated. We offer a range of services: from drafting and implementing outreach strategies, to writing an article or announcement, to recording an audio or video interview, to editing and laying out a policy brief, to giving training workshops, and so on. It’s a ‘horses for courses’ approach: tailoring output to the basic purpose and target audience. Clearly, though, some ‘horses’ go further than others: a blog post will never reach as many people as an interview with the New York Times — yet the following examples still show a surprising return on investment. Early in 2019 I interviewed my director about his plans for a carbon tax on staff air travel. My team and I then condensed the 15-minute audio recording into a one-page press release, which we then posted to our website and submitted to our non-profit account with the news agency Pressat. The result: some 20,000 pageviews on the press release itself, leading to another 30,000 pageviews on a Spanish aviation website. Some may question the exact meaning and ‘impact’ of pageviews, but ultimately our message appeared on the radars of tens of thousands of people and was shared within hours by an aviation website (which also translated the text for us into another UN language). The full name of our director and institute are clearly mentioned, so the final return on investment – a couple of hours at most – was excellent. Some researchers also make it into mainstream media. Here we can point to a recent interview with a PhD alumnus in VICE magazine (also in Spanish). Part of a wider article about air quality in Colombia, UNU-MERIT is clearly stated in a post that garnered 53.2 million pageviews and more than 300 Facebook shares. The article was syndicated to another website, which in turn produced a further 55 million pageviews. This kind of exposure did not come about in a vacuum – or indeed a silo or an ivory tower. The subject has long been a contributor to our ‘media ecosystem’: from writing regular blogs as a PhD fellow, to doing joint videos with other UN agencies, to giving a TEDx talk in 2014, to joining our global Science Reporting series as a lecturer in 2016. One final example highlights the power of the newswire. One of our blog posts on the Circular Economy was picked up by the InterPressService News Agency, which quickly registered 140,000 pageviews, before being syndicated to numerous other sites, two of which provided another 350,000 pageviews and 280,000 pageviews respectively. UNU-MERIT is clearly stated, along with a link to our website; so again the return on investment – a few hours at most – is excellent. 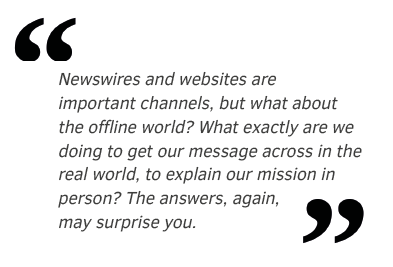 Newswires and websites are important channels, but what about the offline world? What exactly are we doing to get our message across in the real world, to explain our mission in person? The answers, again, may surprise you. According to international rankings, UNU-MERIT has long been recognised as a leader not only in innovation but also in technology & industrial dynamics – scoring above MIT on the former, and above Harvard on the latter. This opens doors. Yet we have one significant limitation when it comes to communications: the lack of a nearby international press corps. Brussels, around 100km away, does have a UN Regional Information Centre, but the media outlets are overwhelmingly EU-focused. So within Europe, we do a range of asymmetric outreach: from leading sessions at the Global Media Forum and SDG Global Festival of Action every year in Bonn, to co-organising student Open Days and Simulations, to co-hosting debates and movie nights with the likes of former UNDP chief Helen Clark. Pushing further afield, in 2016 we launched a series of Science Reporting workshops, sharing our message and expertise across Latin America, West Africa, the Middle East, and Southeast Asia. These demand-driven workshops have featured a BBC presenter speaking about science literacy, a Pulitzer prize-winning journalist focusing on data storytelling, and a Dutch ambassador covering ‘Twiplomacy’ and social media. They featured hands-on training with infographics, reverse press conferences, and a number of ‘hackathons’. The workshops are labour intensive, but they help us reach audiences, as well as media and political luminaries, that we would otherwise miss. So, was my Turkish colleague right? Should I and do I love my job? Most of the time, yes. Is our office doing good work; does it deserve the ‘Gold Standard’ label given by the UNU Rector in 2018? Overall, yes. Our science reporting workshops are evaluated from 82% to 96%, and UNU-MERIT has the third most visited institute website in the UNU network, despite its lean communications team. So, overall, we seem to be valued, while also adding value. If YOU have any comments about our work, please share your thoughts via our social media accounts below.